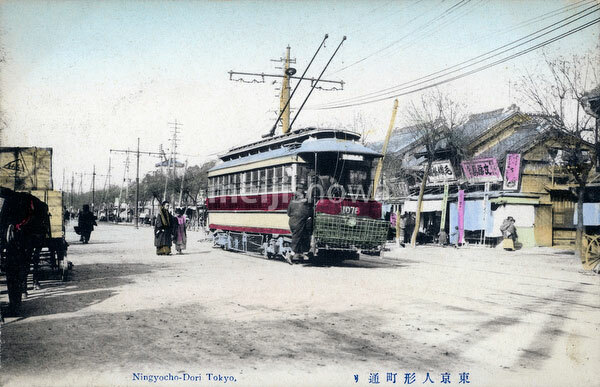 The conductor of a streetcar helps a passenger get on board in Ningyocho, Tokyo. Ningyocho is named after dolls (ningyo) as many doll makers, puppeteers, and puppet theaters were located here during the Edo Period (1603-1868). It is also the birthplace of Edo Kabuki theater.